Perfect Diamond is an Australian-owned and operated wholesale diamonds supplier based in Brisbane, Queensland. Perfect Diamond has built strong ties with the largest diamond distributors throughout the world. By maintaining these close relationships with overseas partners we are able to provide you with a continual supply of premium loose wholesale diamonds in every shape, carat, colour, cut and clarity. Each wholesale diamond is certified by the most respected gemology institutions in the world including GIA, AGS Laboratories and HRD. 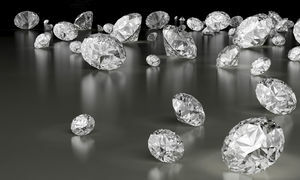 Perfect Diamonds' strong overseas relationships bring you flawlessly cut wholesale diamonds at the lowest prices available. By keeping overheads low, savings are passed on to you and your customers.